We all long to have a fair and flawless skin that looks good. Having a gorgeous skin means that you need not apply much makeup. But many of you lack such a skin either because you have no time to take proper care of your skin or visit the beauty parlor, or you do not have enough money to spend on your looks. Here we will discuss about some simple methods by which you can have a flawless and fair skin. You can do this at home and it is not very costly. Taking proper care of your skin is very important but protecting your skin from any damage is as important. If you do not protect your skin from various damages, all that you do to take care of your skin will be of no use. The skin will still remain in bad condition and you will remain wondering why you get no results after treating your skin in all possible ways. Powder is an important makeup product and it also protects your skin. Using powders with fairness radiance or mineral loose powders makes your skin look even and add more fairness to your skin. Another advantage of applying powder on your skin is that it helps in keeping your skin fresh and oil free for the whole day. Nowadays you also get translucent powders, which do not leave a yellow or white coating on your skin, but help in making your skin even and control the oil o the skin. 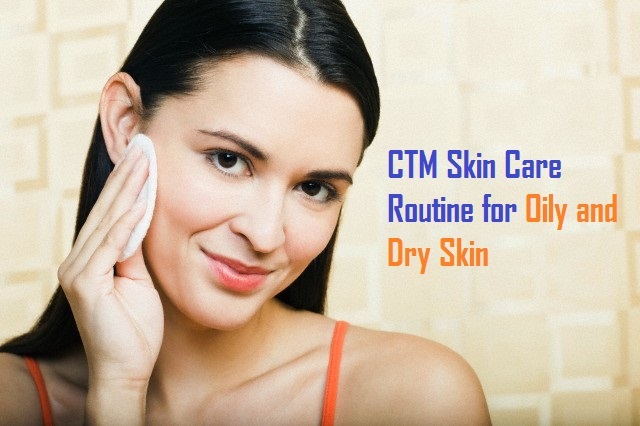 CTM or cleansing, toning and moisturizing is very important if you want to have a fair skin with a natural glow. You must make it a daily routine and you must never skip it in any way. Cleansing: To have a fair skin you must always remember to cleanse your skin properly. You can use a good cleanser that is available in the market or make one at home for this purpose. The cleanser you use must be suitable for your skin type. There are different cleansers for oily skin, dry skin and normal skin. Try to avoid using soaps as this can make your skin dry. Toning: After the cleansing the next step is toning. This helps in hydrating your skin and provides it a glow. Using toners helps in making your skin soft and supple. Toners play a great role in making the skin tighter and close all the pores in the skin. This provides an instant fairness to your skin. Moisturizing: You can never complete a skin care routine without moisturizing the skin. It is essential that you must always apply a moisturizer on your skin. Never ever skip this part of skin care routine. You can choose a moisturizer based on your skin type. If you have an oily skin, you must not use creamy moisturizers on your skin. You can use water based oil free moisturizers instead. For combination skin also you can use light oil free moisturizers. If your skin is dry, you may use cream based moisturizers, which prevents the skin from getting dry. To get the best results out of moisturizers, use moisturizers which have the ability to make your skin fair and also have SPF, which provides protection for your skin from the UV rays of the sun. By combining the right ingredients and applying this as a pack on your face, you will get a skin that looks as good as a parlor treated skin. A face pack made with honey and tea water is excellent for your skin. This face pack can fight against the free radicals and work on the skin well. As a result, your skin becomes lighter and beautiful. Honey and rice flour pack is also good for providing instant fairness to the skin. Rice flour is a good scrub while honey helps in moisturizing the skin. Take one cup of cool water and add 2 spoons of rice flour and half spoon of honey to it. Mix well and apply on your face. Let it stay on your face till the mask gets dry. Wash off with water. This provides instant fairness to your face and makes your skin tone even. Orange and curd face pack is excellent for the skin that has become dark and tanned due to exposure to sun. Orange can help in lightening the skin and always works well for the skin when added in a face pack. Curd has cleansing properties provides a glow o your skin. Take dry orange peels and mix them well with curd to get a smooth paste. Apply this on your face and wait for 10 to 15 minutes. Then wash your face with chilled rose water. This provides a natural fairness to your skin. Turmeric is one of the beauty products that have been used from ages. It works wonders for the skin and is a favorite with all girls. This provides instant glow to your skin. Turmeric lightens your skin and also improves its texture. Milk cleanses your skin and also keeps your skin well moisturized, thus providing a bright glow to your skin. Take some milk and mix gram flour and a pinch of turmeric with it. Make a smooth paste and apply this on your face. Let it remain on your face for about 10 minutes and then rub ice cubes on your skin for one minute. Ice helps in tightening the pores of your skin and makes your skin glow naturally. So, try out some of these tips at home and see how it changes the texture and tone of your skin. You will get a fair and smooth skin that has a natural glow and that too without spending a large amount of money in the beauty parlor. Agree turmeric is one the best way to get instant fairness on face. Never tried honey and tea water pack will definitely gonna try. This article is really very amazing . 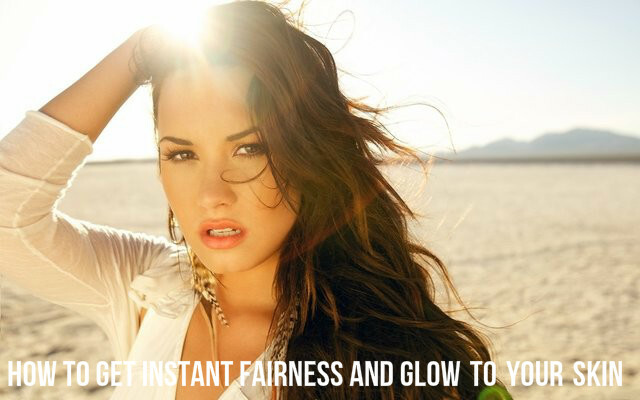 Before reading this article I never knew that there are so many remedies that can help us to get instant fairness.